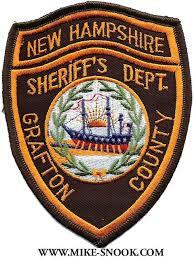 The Grafton County Sheriff’s Department has been made aware of a very concerning scam involving a fraudulent caller who claims he is a Sergeant with the Grafton County Sheriffs Department, threatens community members and demands money. According to reports the caller will state that they missed jury duty or some sort of civil or criminal obligation. In some instance’ s it appears that the scammer claims to be able to resolve the matter by sending money orders or pre-paid credit cards. In other instances the scammer will require a person to actually meet at the Grafton County Sheriffs Campus to resolve the matter. Community members should know that this scam has been reported several times throughout Grafton County and other Counties. Scammers often use fake caller ID information to trick you into thinking they are someone local, someone you trust – like a government agency or police department, or a company you do business with – like your bank or cable provider. The practice is called caller ID spoofing, and scammers don’t care whose phone number they use. Officers are actively investigating these incidents and are working to stop this activity. Anytime that a person receives a call and is asked in any way to send money you should immediately be suspicious. Please call the Grafton County Sheriffs at 603-787-6911 (call 911 if it is an emergency) to report any suspicious calls, or activity.